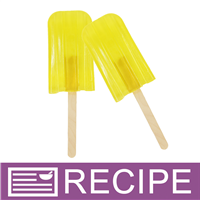 This recipe produces sugary lemon scented soap pops. These soaps look like delicious frozen lemonade ice pops. Make sure you clearly mark they are not edible because they smell good enough to devour. INCI Ingredient Label: Sorbitol, Propylene Glycol, Sodium Laureth Sulfate, Stearic Acid, Lauric Acid, Water, Sodium Hydroxide, Glycerin, Fragrance, Sodium Myristate, Sodium Cocoyl Isethionate, Yellow 5, Propylene Glycol, Diazolidinyl Urea, Methylparaben. Melt together half of two-pound tray of soap and 0.10 oz. color block in the microwave until melted. Add fragrance mixture to soap and mix well. Allow soap to cool to 120ºF. 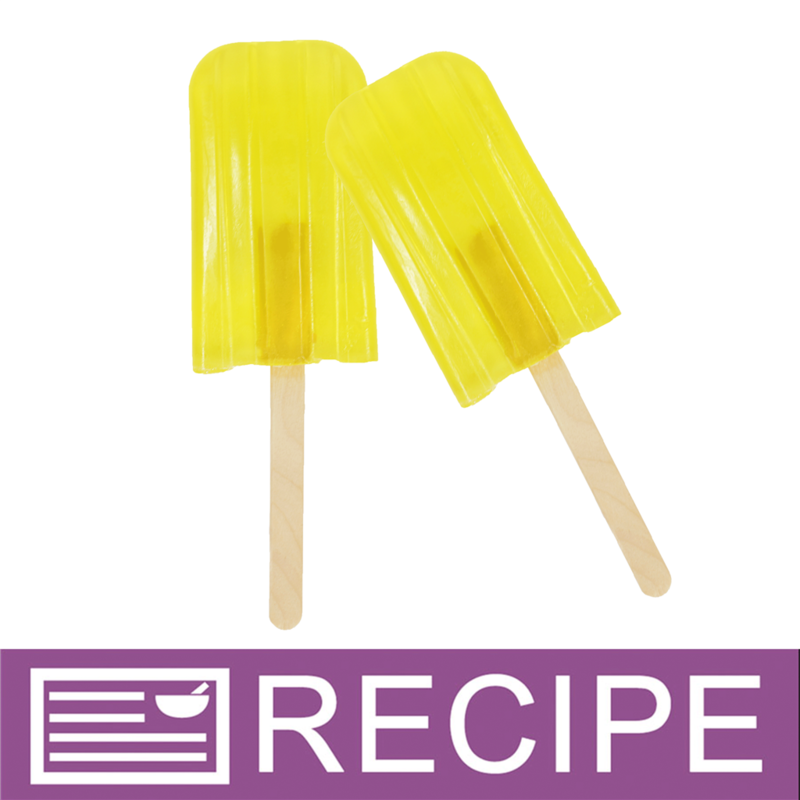 Place lid on mold and push pop sticks into soap. Allow soap to cool. Repeat to make five more bars.